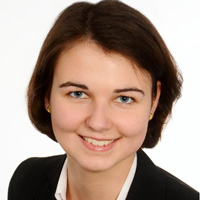 Alexa is a Master of Finance student and spent several semester abroad (Oslo, Dublin, Washington DC). Why Oslo? This was indeed a question that a lot of people asked me when I decided to go abroad for a third time during my master studies at Frankfurt School after already spending a semester in Dublin, Ireland and Washington DC, USA during my Bachelor degree. Also, my friends at FS wanted to know why I picked such a cold and dark place as Norway in January when there were other, much warmer options available, such as Buenos Aires or Capetown for example. There are three simple reasons that explain my decision: BI Norwegian Business School is a very good university; I love to travel but I don’t like the cold. Now this doesn’t seem to make much sense with regard to facing the Norwegian winter, but let me explain. I really do love to travel and I would like to see the whole world, although this will probably always remain a dream of mine. However, I am extremely sensitive to cold and I knew that once I started working and was left with 30 days of vacation at the max I was bound to pick sunnier destinations for my ventures and ignore the beauty of Scandinavia for the rest of my (working)life. Thus, I told myself it’s now or never and you better go or you will regret it. This is how I ended up at Oslo Gardermoen Airport on a frosty January morning, with a parka that was fit to withstand the fiercest of Arctic winds and a stash of warm socks and pullovers in my luggage. The arrival day at BI was probably the best-coordinated arrival day I have ever experienced at any of my foreign universities and I felt kind of sorry for my younger Bachelor self who would have appreciated the help and welcome committee. For a master student it was nice nonetheless but not really necessary, and as Oslo is a very young and modern city I had no problems navigating the metro and finding my way to the dorms. Which were, by the way, the most luxurious dorms I ever stayed at including the FS dorms for that matter. Let’s just say the bathroom has floor heating, there was a roof terrace, a solarium, a TV room, and a squash court just to mention a few of the amenities. But of course this didn’t come for cheap, in fact you will very soon realize that nothing in Norway is cheap and even a simple trip to the grocery store (which there is one in the dorms – very convenient if it’s dark, cold, and snowy) has the potential to break the bank as you pay at least 2 times and sometimes up to three or four times the prices that you would have to pay for the same goods in Germany. The same is true for travelling, but this shouldn’t keep you from exploring the beauty of the Norwegian nature. Whilst in Norway definitely visit the Arctic Circle, it’s one of the most magical places I’ve ever seen. You can get there by plane, as many airlines such as Norwegian or SAS offer special student fares and as Norway is a very large country (almost as long as the distance from Oslo to Rome), flying within the country is comparably cheap as it is one of the major ways of getting around outside the metropolitan areas. I recommend to take a plane to Bodo or Tromso and take a Bus or Boat from there. Although those cities are not as high up North as some of you might want to go, they are comparably easy to reach and a great starting place for an expedition to the Lofoten Islands. To go there you can take one of the Hurtigruten ships, which still function as a post ship for the more remote areas in addition to being cruise ships. Side note: If you stay on board for less than 24 hours you are not required to book a cabin and get the experience of cruising through the majestic fjords for a fraction of the price (It takes you about 17 hours to get from Tromso to Svolvaer for example). On your way back to an airport taking a bus is a good alternative, so you don’t only see the landscape from the seas. For trips to Sweden taking the train from Oslo Central Station is usually cheaper than flying and to go to Copenhagen you can take the ferry which departs right in front of the city hall. This is actually a very nice day trip, as ferries leave early in the morning and take you back to Oslo overnight. I will leave it to that as far as traveling is concerned. The sights and nature are something best experienced on one’s own as describing the northern lights e.g. would never do them justice (but be warned, seeing them is addictive and you will go back to see them time and time again). Before I let you go maybe a couple of words about BI, Oslo, and the Norwegians are in order. I really enjoyed studying at BI as it is a very active and diverse community, although making friends among the Norwegians was tough, as they are very reserved and like to stick to themselves. I suggest joining one of the university clubs to get to know the locals a bit better as they are unlikely to approach you if you remain an “outsider”. However, as the international community at BI is so large and diverse you are bound to make a bunch of interesting friends and won’t even notice that only a fraction of them is going to be Norwegian. Also, as the weather gets warmer life shifts from indoors to outdoors and Norwegians become more outgoing. Still, Norwegians are very outdoorsy people and love any kind of physical exercise and kind of build their life around their hobbies. As an example, you can take the metro up the mountain, ski down to the station and take it back up again. Consequently, virtually every dorm comes with a gym in the building or close by and they offer monthly contracts for exchange students. The campus itself is very modern and beautiful, I especially liked the library, which is located at the very top of the building and has an incredibly light and airy feeling due to being enclosed by walls of glass. An additional bonus is that Master students have their own section of the library which can be accessed through pin locked doors. Classes at BI were interesting and, especially as a MOF student, you will notice that they do things quite a lot differently there. Let’s just say nobody seems to have heard of Damodaran but they are big on McKinsey textbooks. Quite an unnerving experience as I literally had to adapt my whole approach to valuation. Luckily, professors and support staff are very helpful and accommodating and try to make sure nobody gets left behind, although they still expect a great degree of initiative and self-study, so be prepared to read a lot and do your homework, otherwise, you will have problems keeping your grades up. The number of students per class and the set-up is very comparable to Frankfurt School and various group projects (presentations, papers etc.) are an important part of the curriculum. Exams on the other hand are very different as they take place at for example the local tennis court or the city exhibition hall and are written on copying paper (white and yellow copies for the university, blue copy for you). Furthermore, they allow only two types of calculators to be used during exams (I own 4 calculators and wasn’t allowed to use any of them), if you don’t want to buy it you can also borrow it at the student services desk. So when spring break is over and the exams are coming around make sure you know how to get to your exam venue and borrow your calculator from student services as early as possible.